Snow is an EVENT in the south. It happens so infrequently, we southerners just get excited! Its rather comical. But hey its all in fun! We are like a bunch of kids…have you met a kid yet that did not like snow? Our precious foster boy Emmett enjoying his first snow! Headed out for SNOW run! 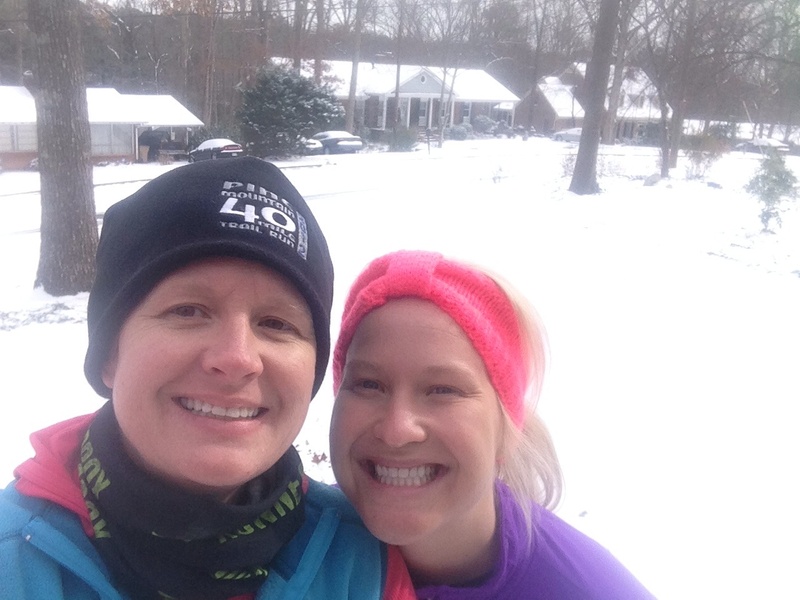 I was super excited to have my first ever snow run today with my buddy Kate from the “MITTEN” ( Michigan transplant) .No fancy Yaktrax just our good ole running shoes. I did opt for my Brooks Adrenaline trail shoes which kept my feet nice and dry.Thanks TheRUNNERBOX for my awesome neck gator. It kept me warm and was an awesome tissue for my runny nose! The run was a success as neither of us busted our a$$ on the ice patches. We had some great laughs, got in a great workout ( #1 of the day…..we hit the afternoon Crossfit class). We had a Blast! 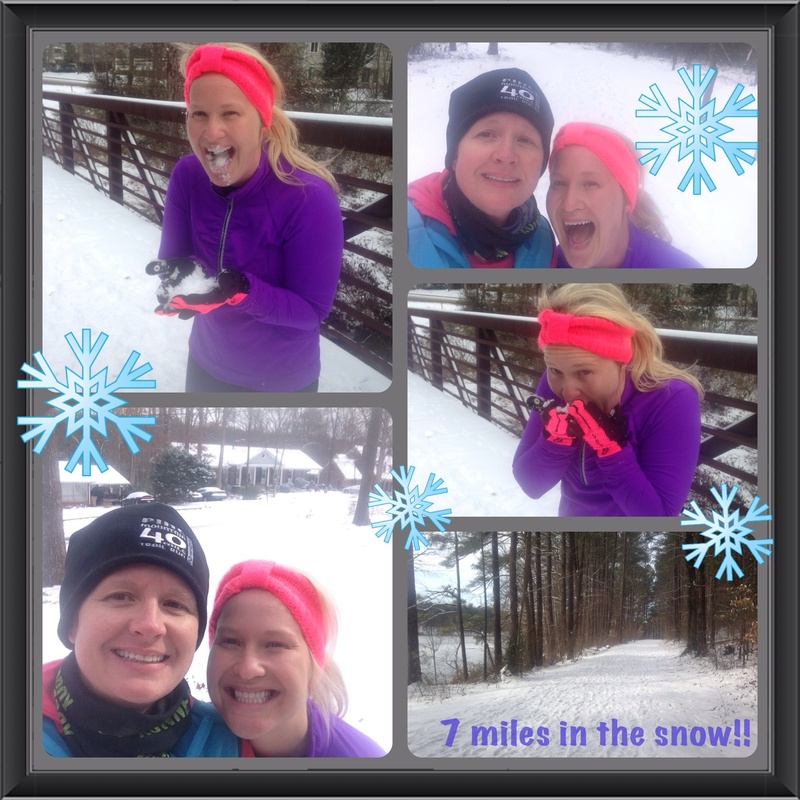 Excited for more snow miles tomorrow! 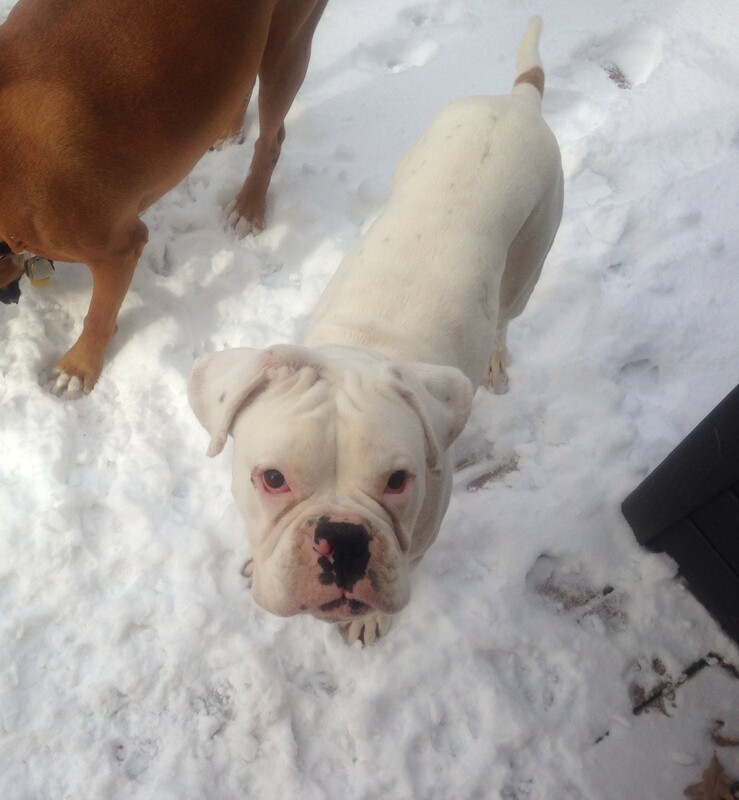 This entry was posted in Blue Ridge Boxer rescue, Boxers, CrossFit, Uncategorized and tagged boxers, CrossFit, snow run, snow running, the runnerbox by BoxerRunner100. Bookmark the permalink. Look at you running in the snow! You could totally cut it in MN! Can you believe it! It was 20 degrees that would be balmy for you guys! We had a blast!